1. Roanoke College will exercise the same care with respect to loans as it does in the safekeeping of comparable property of its own. 2. Loans shall remain in the possession of Roanoke College for the time specified above but may be withdrawn from exhibition at anytime by Olin Hall administration. 3. 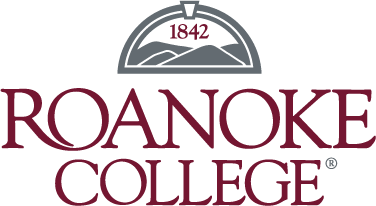 Unless the lender expressly elects to maintain insurance coverage, Roanoke College will insure this loan while on the college premises for the amount indicated on the face of this loan agreement against all risks of physical loss or damage from any external cause while on location during the period of the loan. precaution to protect the welfare of works during receiving, temporary storage, preparation, and handling. The College will not be liable for works during delivery to and from the gallery. If a work which has been industrially fabricated and is damaged and it can be repaired or replaced to the artist’s specifications, the college’s liability shall be limited to the cost of such replacement. information furnished to the lender’s insurers or for lapses in coverage. As a non-profit academic gallery works exhibited in galleries are not for sale through the gallery. If there is a potential buyer for work, the gallery will collect the appropriate information and inform the artist, who is responsible for contact. No commission is charged for works sold. 6. The exhibition will be publicized in regional and local publications, through news releases provided through the college’s public relations office. Unless Roanoke College is notified in writing to the contrary, it is understood that objects lent to it may be photographed and reproduced in the college’s publications and for publicity purposes as part of the college’s publications and for publicity purposes as part of the college’s public programming and that images of the loan may be made for archival and educational use. 7. Roanoke College may, on occasion, present events of a social nature in the gallery space, including reception foods and drinks (e.g., cheese/crackers, wine or soft drinks). As Stated in Item #1, the college will exercise the same care in protecting art work on loan as is does its own property. 10. Gallery hours are 1-4 p.m. everyday, including Saturdays and Sundays. The galleries are closed over Thanksgiving and Easter Holidays, and also for the college Fall, Winter and Spring breaks.